Hello guys, pleasure to participate this forum, hopefully one day I’ll help as many people as I have learned from you just reading. Thanks to you, I was able to produce a vapeable concentrate from hash. Unfortunately I don’t have access to anything other than hash where I live, so that limits a bit the tek I use, and is the reason I opened the thread, I can’t improve my oil any further. Back to what I’m doing, I’m limited to what I have access / can afford to produce my medicine. Here’s a list. Important to mention that I chose to avoid things that could kill me or blow things up, I’m not a professional after all. my bentonite works fine as filter, no carbon powder passes thru the cake. the color is very dark, almost black, but vapes fine, no noticeable burn residues. The taste is acceptable, not like clear carts tho. 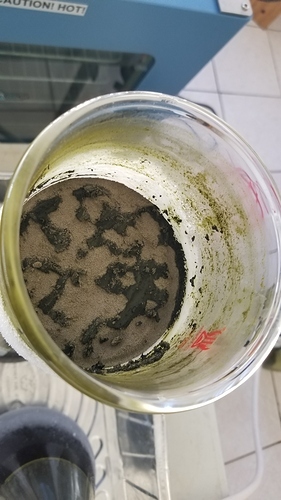 Since the material is very expensive here I don’t get to play a lot with it, so I dillute it in 1:20 eth and filter / scrub at that concentration, I was afraid I would lose too much yield by filtering a less concentrated solution. I have tried 15m ac and bentonite scrubs at 60c, no notable difference, considering the final product is dark, it does have decent impact on the solution before evaping the ethanol tho, not sure how it loses translucency like that. I don’t decarb on purpose, considering I don’t have the right equipment, id probably end up with too much CBN if I did (correct me if I’m wrong), and the vape pens reach enough temps to burn thca. I’m too stupid to understand in which conditions d9 would isomerize, and if it only occurs from d9 and not thca. Either way, not too worried, unless I get CBN, which effects I hate. Improve translucency (note, I don’t care about the color itself, dark amber is just fine), I think I have the material to achieve that, probably just doing it wrong. Find a way to get rid of some water solubles. I always get a little bit of yellowish water left when burning the ethanol off, when that happens I add a bit of distilled water to avoid getting the solubles into the oil and mechanically separate them, followed by 5 minutes under 100c. Does adding water to etho prior to evaporation help any further? As I’m stupid about this, I’m not totally clear on what information I should be providing to get help, so please feel free to ask. Finally, I don’t want to waste anyone’s time, so feel free to send me reading if you have to. English isn’t my mother language, so I could have missed something here while studying the already available content. Ps: I’ll start taking some pictures from now and share as I go, eventually to be available as valuable information to other people with the same limitations as me. Sorry if I broke any rules, I tried not to. In my earlier days I set up a distillation apparatus to remove my solvents, but this never heated evenly and usually ended up with some unwanted isomerization. You can get a vac oven with pump for ~6-700 or a rotovap for ~1000-1200. A rotovap would definitely be the way to go in the long run, but a vac oven may work temporarily. give that a try and let me know how it turns out! They sell 1 gallon to 3 gallon vacumn chambers that come with a pump for $100 to $150 on ebay if thats an option for ya. Thank you all for pointing me in the clearer direction, I’ll study all the info and post a feedback soon! Other than that I’m considering getting a cheap vaccum chamber, adapted to my mag stirrer (total cost to me would be about 100usd with pump), should work. If it does I’ll try to buy a countertop device that buys me some time before going rotovap. Suggestions? I’d probably too stubborn to admit it’d been easier do do bho + terp carts, considering I’m stuck at black oil. Current batch, naturally evaping the ethanol in a large pyrex, should take a week, so I’ll take that time to study and get material if needed for next batch. -30 frozen eth + hash (previously frozen), the result is saturated etho with a somewhat clear golden color (picture later). 24 hours later I intend to filter it in a new cake (actual celite 545 is impossible to get, there are rip offs tho) maybe I’ll freeze the cake too before filtering. Turns out this is what I needed, the color improved a lot, after a couple of polishing passes I got the light color I was hoping for. Other than that I’m having issues to get the terpenes right. I tried 5% superlemon haze from TT, and 5 days later, nearly no taste in the cart. I mixed the disty and terps at 140f for 15 minutes. How much terpene do you guys use in odorless disty? I like them really flavorful, but not too much to avoid burning nose, what would you recommend? Also, some terpene blends are stronger in a way you’d use less, correct? In my experience with TT, the earthy, piney and sweet are the strongest, for instance tangie and super lemon haze are weaker in flavor than og kush and banana Kush (this one is really strong). Next batch I’m going to try 10% Tangie, then 7% og kush. @that445guy, thanks on the color note, I had to run it countless times to get there. I was bored and wanted to know if I could still improve. I increased the solvent / disty ratio before filtering. I used bentonite, ac, aa, celite 545, 0.22um filter disc and lots of patience, it would take hours to filter less than 1 liter solution, lol. Not sure I’ll put this much effort next time. I would recommend checking out floraplex if you can, I think their flavors are far superior to tt and they are cheaper. I got a lot better results using hardwood carbon from summit or carbon-chemistry than using the aquarium stuff. if you ever have access that might be good to try. @that445guy Thanks for the tip, I have already been looking into floraplex for a while, waiting for my bottles to arrive, what are your favorite strain profiles from them? of the color out. The aquarium AC was garbage. Thank you guys, you’re amazing. thank you all so far with all this help, you have no idea how much I have improved my process and quality since the first post. 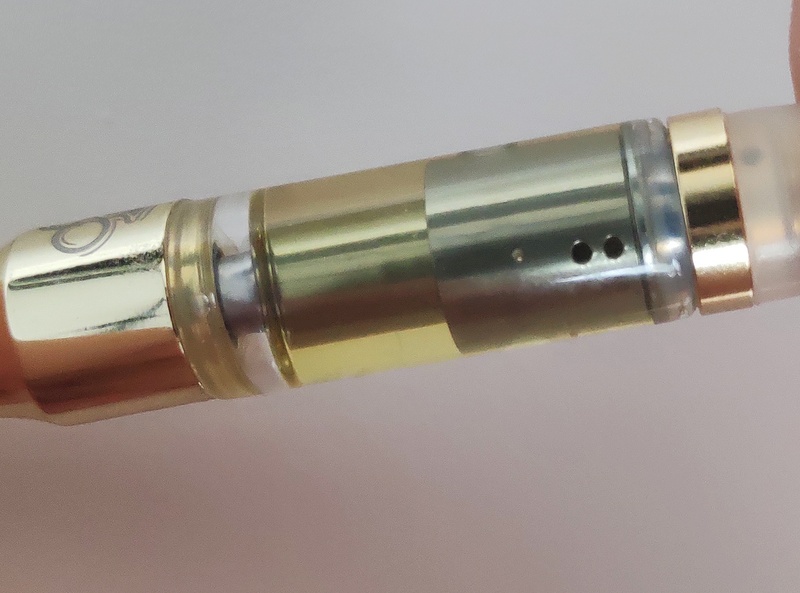 Being so… is there a method where I could in one pass (with fresh cut flower) get a wider spectrum oil, except the greens, and fat/waxes so it will work fine in a cart or can be used to partially mix with disty? Again, it just cannot be milky, but I dont care about the color, as long as the result tastes like fresh plant, so I wont have to add terpenes later. that’s certainly one way to achieve cannabis derived terpenes. as for improving on it? so adding anything more than kief seems counter productive.